Welcome to Three Timbers Church! Our vision is to connect people to the transforming and redeeming love of Jesus Christ.  In the winter of 2014, the Evangelical Presbyterian Church decided a new EPC church was needed in the Omaha area to help spread the Good News. Why Bennington? Bennington is one of the fastest growing communities, not just in the Omaha metropolitan area, but in the entire state. With few worship options available in Bennington, Three Timbers Church hopes to become a part of the fabric of this thriving community. Each Sunday at 10:00am we worship in the gym at Pine Creek Elementary School, located at 7801 North HWS Cleveland Blvd. in Bennington, NE. On average we have about 150-175 people attending service which includes adults, youth, and children. We’re not real big, we’re not real small, and we’re definitely NOT stuffy. Wear your favorite jeans. Be comfortable. Enjoy a good cup of coffee. Listen to inspiring music. Hear a message that gets you thinking and relates to everyday life.